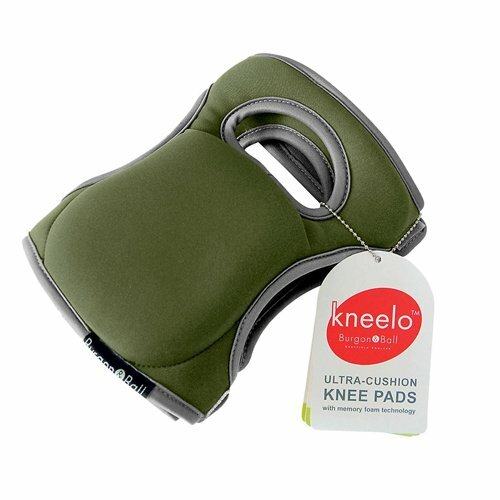 The contoured shape, exceptional padding and flexible fabric make these Kneelo™ knee pads extra comfortable, whether you're kneeling, walking or standing. Two types of foam — shock-absorbing EVA foam plus ultra-soft memory foam — help protect knees without extra bulk. The padding is encased in waterproof, durable neoprene with a quick-dry, wipe-clean nylon coating. A must for gardeners, these knee pads are also handy for down-low jobs around the house, like painting, washing woodwork and scrubbing the floor. If you have any questions about this product by Kneelo, contact us by completing and submitting the form below. If you are looking for a specif part number, please include it with your message.